Is your business struggling to troubleshoot computer or technical problems without a formal IT department? Or, if you have in-house IT workers, do you really need a full team of 40-hour a week employees, devoted solely to this role? Businesses with fully staffed, in-house IT departments may enjoy their workers’ helping hands when a computer suddenly crashes or a problem arises, but what about all the time in between? You may be paying employees just to be available, not always productively working. If you have a small team, different labor costs pop-up. What happens when your IT employee wants to take time off and go to the beach? When problems arise during their absence, your servers and computers sit waiting for their return, or maybe, a non-expert gives it a try. Consider all the money you spend hiring and training these IT professionals, writing their biweekly checks and paying to further their education/expertise. In the field of IT, technology is always evolving, and IT professionals need continual training, new certifications and more to provide your business with the support it needs. In addition to the cost of your staff, there’s other operational expenses you can cut by outsourcing your IT support. Consider all you may invest in systems and software to support your current structure. For example, your IT team or fill-in staff likely needs special equipment, tools, etc. to do the job efficiently and effectively. If you have in-house servers and computers, these all require maintenance and upkeep costs, as well as enhanced security measures to protect the sensitive data they house. You may pay for an expensive Help Desk software or specialized tools to help your IT team assess and resolve issues too. Or, if you don’t have a formal IT department, you may be paying out the nose when a problem does arise to fix it. It all adds up fast— faster than you may realize. If you do not have a formal IT team, you’re likely pulling time away from valuable managers or employees when troubleshooting technology or security issues. These workers have their own projects and, without formal expertise, likely don’t have the insight to always choose the best solution. Outsourcing your IT with a managed service provider can free this staff to focus on their actual job. For companies looking to downsize their current IT department or reallocate resources, outsourcing can allow you to use your staff’s talent for more important tasks. Outsourcing doesn’t necessarily mean laying off valuable members of the team but can instead give them the opportunity to channel their skills into direct business growth instead of maintenance. Any business needs to protect their data and devices from cyber attacks and compromise. Most outsourced IT companies can not only troubleshoot potential problems, but they can also prevent issues from arising in the first place— with properly crafted and implemented cybersecurity and backup/disaster planning strategies. Is your current in-house IT team or business using firewalls, antivirus software, multi-factor authentication, vulnerability scanning and other cutting-edge security measures to protect your assets? 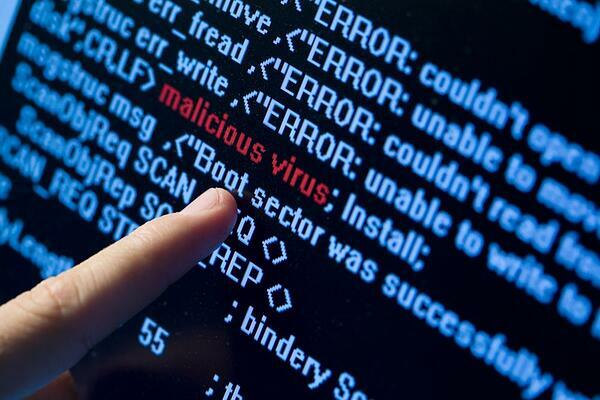 A cyber attack can easily close down your small business! Is your data backed up on a safe server if it gets stolen or destroyed? The right total IT provider can help to ensure your network stays up and running. While in-house team IT may seem like the more convenient option, there’s only so much diversity in expertise to be gained. In contrast, managed service providers test solutions across many markets. Your staff is used to the current office operations, but an outsourced IT team can bring an outside perspective— with fresh technology, tools and experience that your current employees just don’t have. Many smaller businesses have generalized IT workers who wear many hats, unable to hone in on a specialization. Luckily, many MSPs have the size to recruit staff with years of niche expertise and well-developed skill sets. On the Hunt for an IT Services Provider? Are you ready to improve your workflow, office efficiency, cost effectiveness and cybersecurity? Here at Access Systems, we can help you maintain a strong IT infrastructure, so you can focus on running your business. 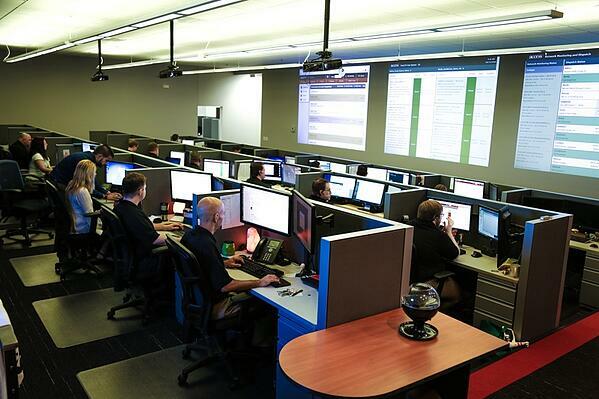 Our Network Operations Center works as a team so you are never left vulnerable to attack. It’s like having an IT professional on staff who doesn’t take a vacation and never gets sick. Explore all that our Total IT Care program has to offer and team up with our industry experts to save your company valuable time and money. Or, give us a call at (888) 464-8770 or fill out this form to outsource your IT, today.